Social media in any form is incredibly popular, and you can’t walk down the road without seeing someone updating their status, uploading a photo, or simply browsing the internet. Almost everyone and their dog has a social media page (trust me, there are numerous pets out there with their own profiles), so it’s worthwhile keeping up to date with the way they are used, especially if it benefits your company and helps you to stand out from your competitors. Being able to predict what social media has in store for you can help to stay on the ball and ensure that consumers find what they are looking for when you interact with them, along with allowing you to actively market your own products and services. 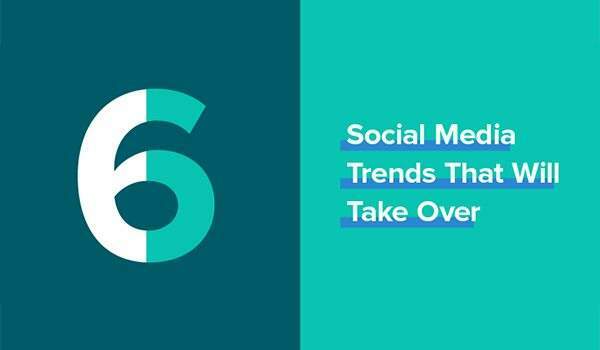 Read on below to find out more about the top trends for 2018, and how you can get ahead of your competitors when it comes to influencing and interacting with customers through the power of social media.